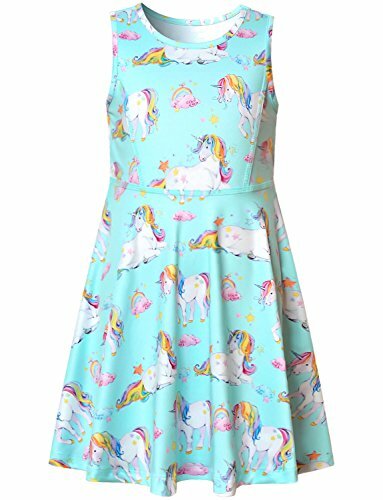 Unicorn Dresses for Girls Summer Rainbow American Teens Blue Birthday Party Kid by Jxstar at Mas Fashion. Hurry! Limited time offer. Offer valid only while supplies last. ✔Unicorn Design,Age:3-13Years ,Print Dress let your Kids more fashionable and beautiful. ✔Sleeveless,A-Line hemline,High quality,Soft and Comfy,Brings your kids ultra comfortable feelings.